ODESZA performs at the 10th annual Decibal Festival (Courtesy of Emerald City EDM). On September 8th, electronic duo ODESZA released their highly anticipated sophomore album, titled “A Moment Apart.” Their first release since their first album “In Return” (2014), “A Moment Apart” debuted at #3 on the Billboard 200 to critical acclaim, instantly making the album one of the hottest electronic music releases of 2017. Combining influences from future bass and pop music as well as their synth-pop and indietronica roots, “A Moment Apart” both presents a refreshing take on current electronic music trends and further matures their youthful, energetic sound. A single chord breaks the dissonance, and the music begins to flow. What’s that sound — is it a piano? A synth? No matter — this electric orchestra has now finished tuning up, and, without hesitation, they embark on the first movement of an electronic symphony. That moment — not even three minutes in — was the moment in which I fell in love with the album. ODESZA is one of the few groups whose music fits perfectly the “chill” archetype: it’s easygoing and relaxing, something you could listen to whether driving, studying or partying. Yet it’s never lazy — instead, it’s catchy and enjoyable, never vapid, swiftly moving despite the downtempo pacing. It’s wave after wave of sound: the waves come slowly, but steadily, and they rise and fall deliberately with profound depth. ODESZA’s eclectic repertoire of slow jams and danceable tracks effortlessly complements every setting — and “A Moment Apart” is certainly no exception. When the beat dropped for the first time in the titular track “A Moment Apart,” I was amazed by the depth and clarity of the music, but I had not expected to be so pleased throughout the entirety of the album. Electronic music is always criticized by the public for being formulaic and repetitive, but “A Moment Apart” shatters those expectations, creating moment after moment of refreshing sounds and ideas. The album rarely loses focus, maintaining integrity via a common base of spacious synths, plaintive vocals and driving beats while expanding upon that foundation with an array of intriguing motifs and creative sound design. I was most impressed by their creative beats, replete with idiosyncratic, foley-like percussive sounds. 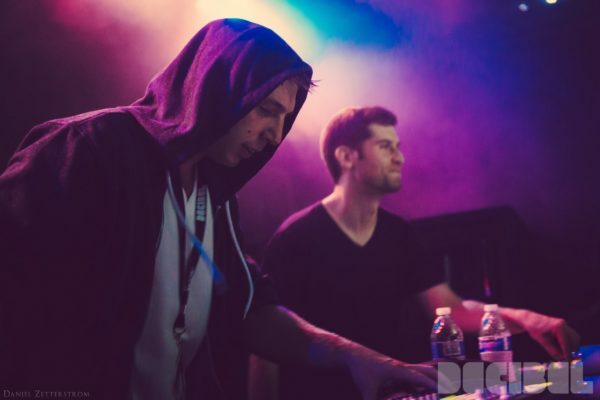 Most of their songs are based on the ubiquitous hip-hop beat, and yet, despite a common “ODESZA groove,” those sounds, a seemingly minor part of the album, formed an integral part of the DNA of each groove, breathing new life into each track, syncopation by syncopation. The synths, a electronic orchestra, were intriguing as well, falling into an uncanny valley between the organic and the electronic: those pads in the background aren’t quite violins, but they aren’t quite synths either. That melody sound isn’t quite a trombone — yet it doesn’t seem like a synth either. And despite the musical bells and whistles (literally, at times) splattered generously throughout the entire album, the music never sounds too busy; on the contrary, every sound falls effortlessly into its own space. In addition, the production on “A Moment Apart” is truly amazing, providing nearly one hour of extremely high-quality sound that places the listener within a vast soundstage. For the music producer, the album is almost a masterclass of sound mixing and design. It’s as if the music is coming from your surroundings, from nature itself. I can imagine myself standing outdoors, in the middle of nowhere, as the music blows gusts of sound from all directions. Out of this immersive wash emerge distinct sounds: the jangling of car keys, the closing of a car door, the dreamy plucks of a harp and the sighs of distant voices. It’s a surreal space in which anything can happen, a scene from a fantastical, mystical world brought to life. The only complaint I have for this album is that at a few points the music struggles to find a balance between creative originality and predictable familiarity. “Boy” was one such example, sounding like a synthpop version of a Flume track, with only flashbulb moments of brief creativity. In addition, while “Just a Memory” was very musically intriguing, the cheesy Chainsmokers-esque pop lyrics distracted slightly from the track. However, even as ODESZA straddles a very fine line between formulaic music and experimentation in the album, tracks like “Divide” and “Thin Floors and Tall Ceilings” powerfully capture both of these aspects. With future-inspired sounds in concert with the characteristic ODESZA aesthetic, these tracks indeed sound like something I’ve heard before — yet I know consciously that I’m listening to these tracks for the first time. The familiarity draws me in, the novelty keeps me interested. In all, “A Moment Apart” as whole is an exciting, fulfilling album, taking the listener on a brief yet fulfilling journey through a carefree, surreal realm. Perhaps that’s what the title alludes to — the brief moment apart from reality that ODESZA has created, one that we experience when the music hits our ears. Music is ephemeral, but good music leaves a mark long after the sound is gone — and I’m certain that I’ll be thinking about “A Moment Apart” in the months to come.